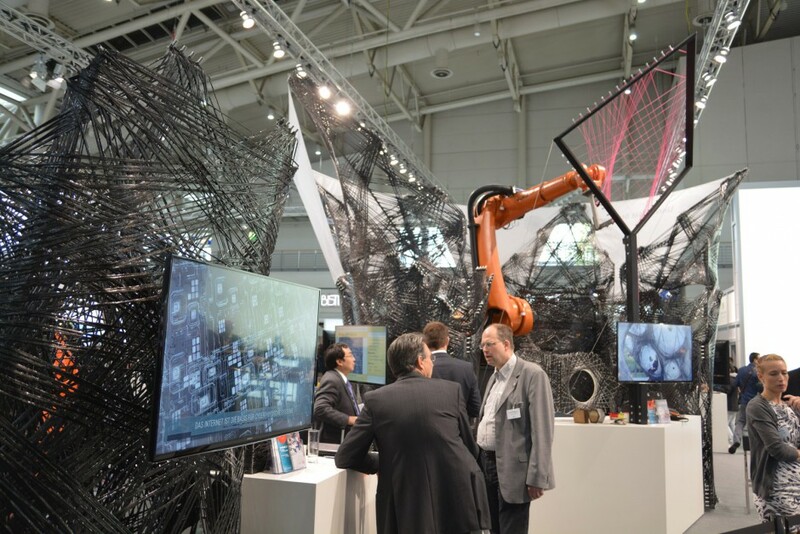 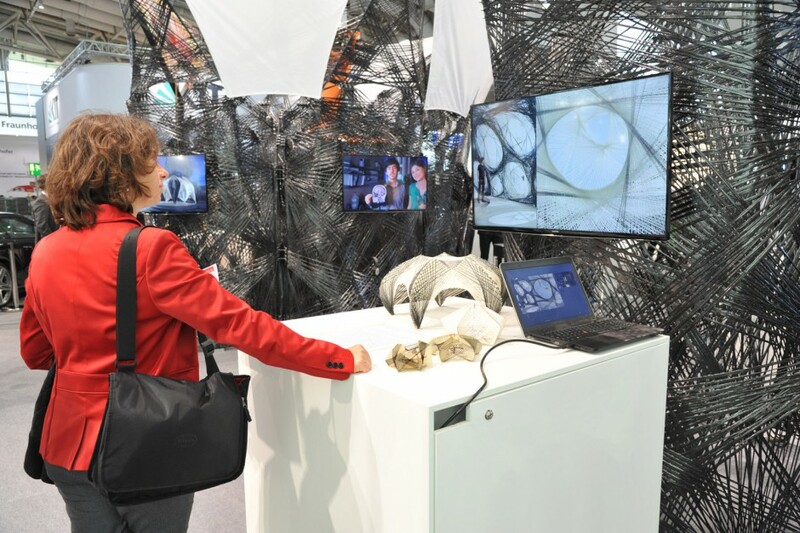 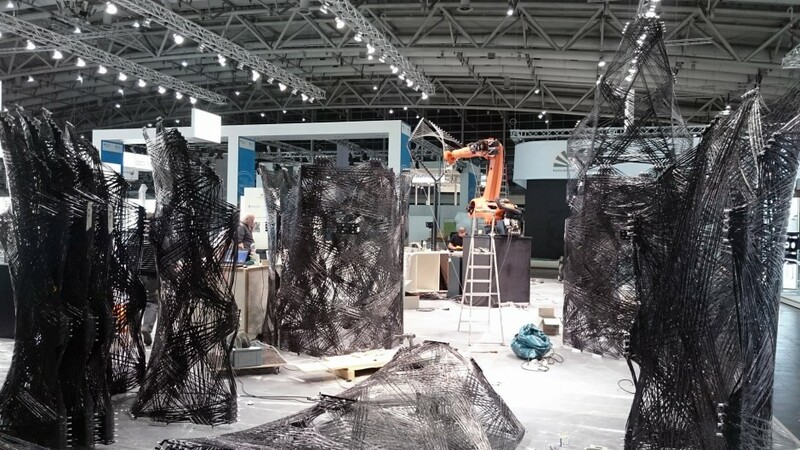 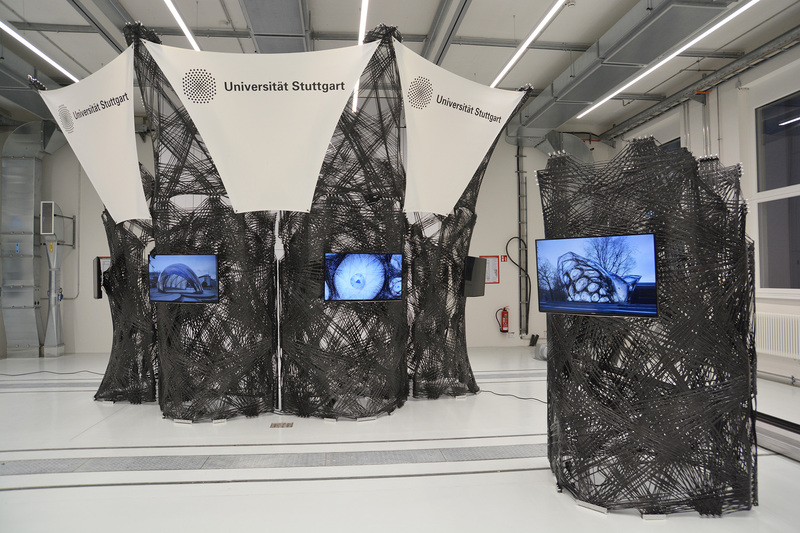 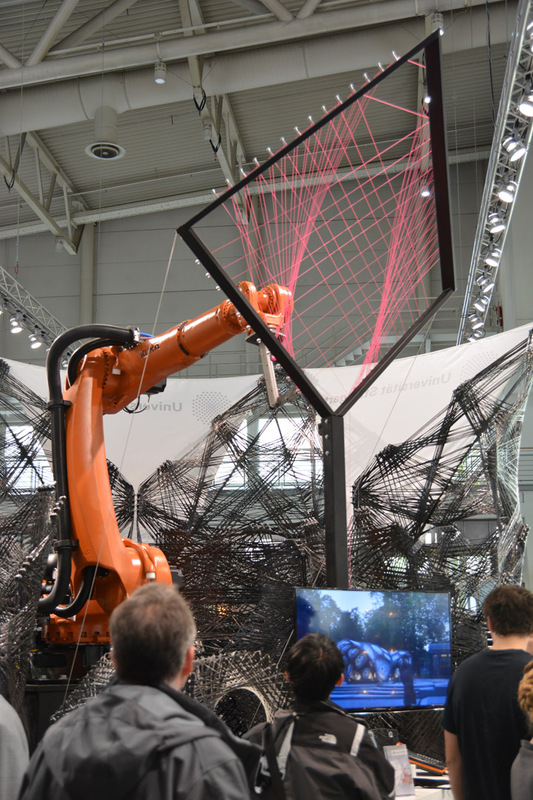 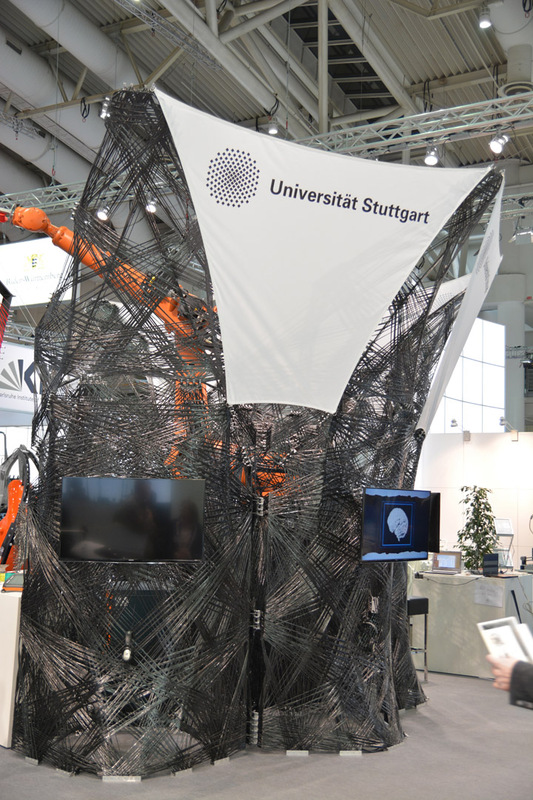 The Institute for Computational Design (ICD) and the Institute of Building Structures and Structural Design (ITKE) were commissioned to design, plan and fabricate a fair stand for the Hannover Fair 2015, the world’s biggest industry fair, by the director of the University of Stuttgart. 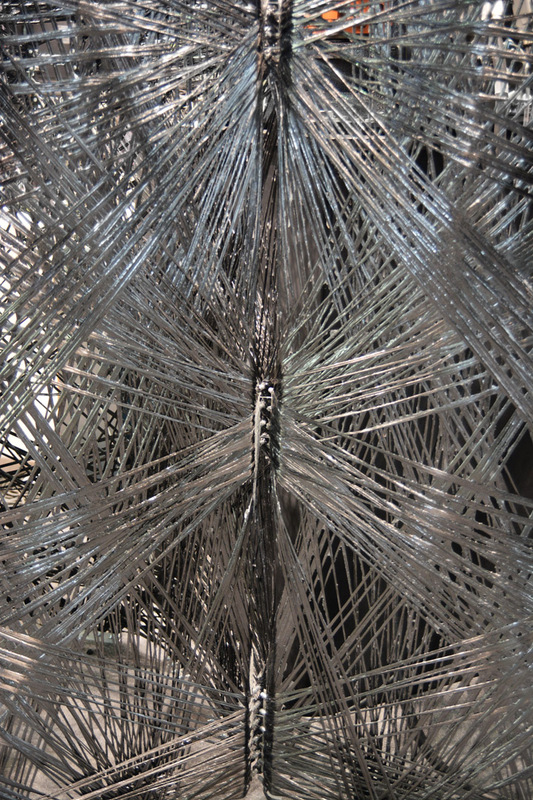 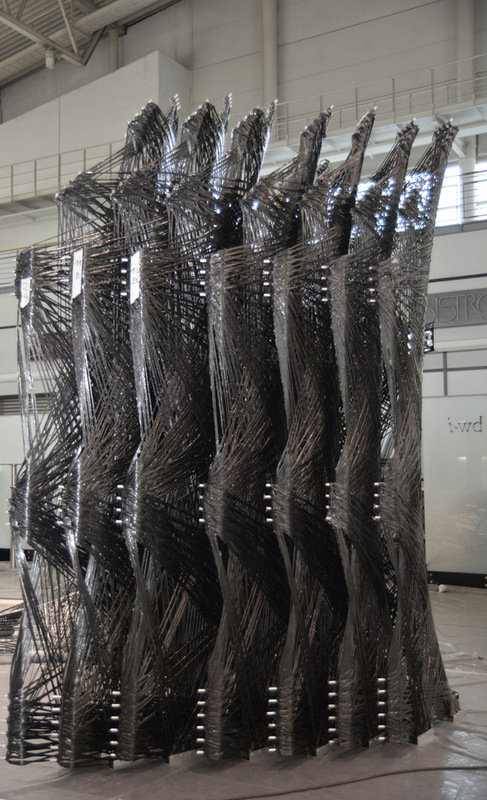 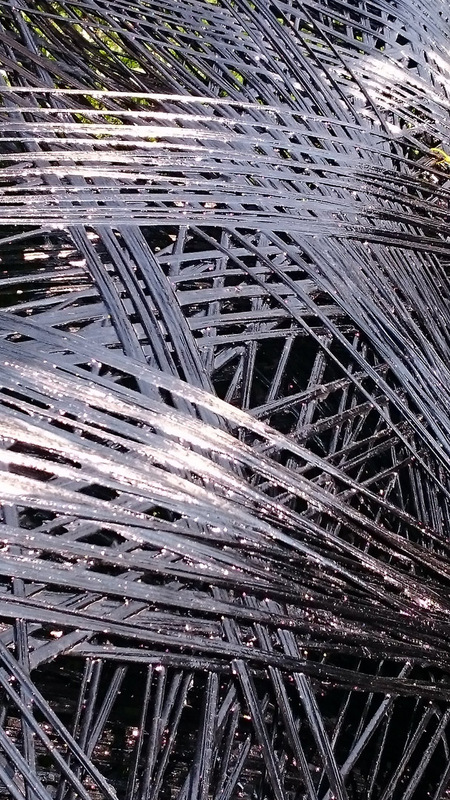 The carbon fiber reinforced lightweight structure build upon previous research in computational design and simulation methods and a core-less robotic filament winding technique. The project allowed to increase fabrication speed and accuracy while integrating connection and construction details within the fiber composite structure, an important prerequisite for further applications in building industry. 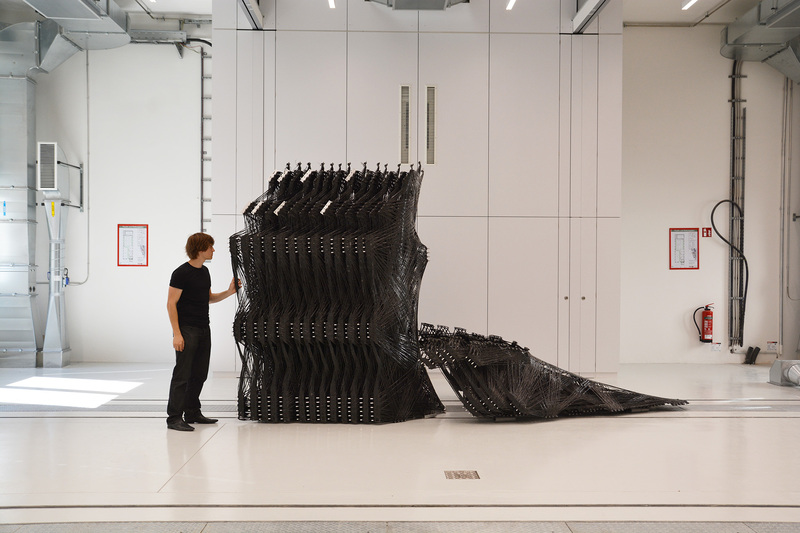 Through their light weight and stack ability the carbon fiber parts are suitable for repeated transport and set-up. 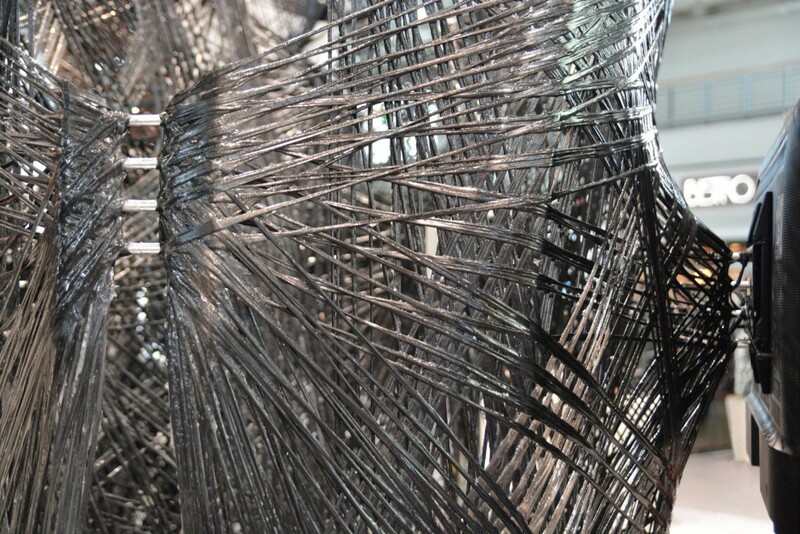 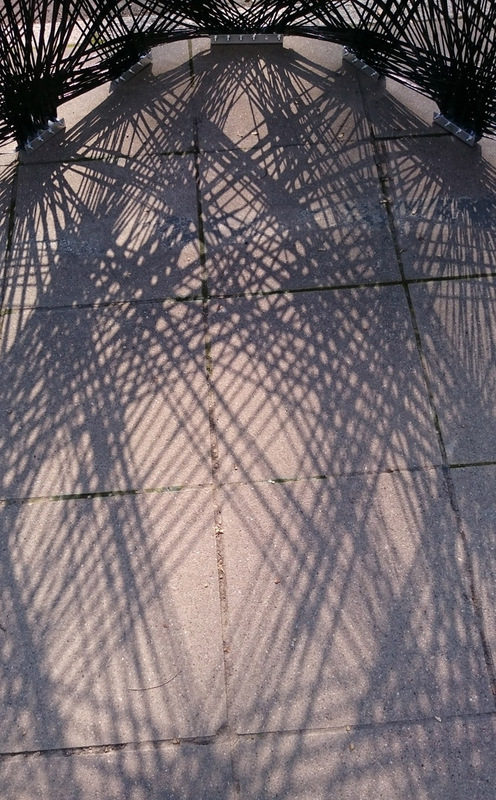 The elements can be assembled into fair stand of various size and arrangement. 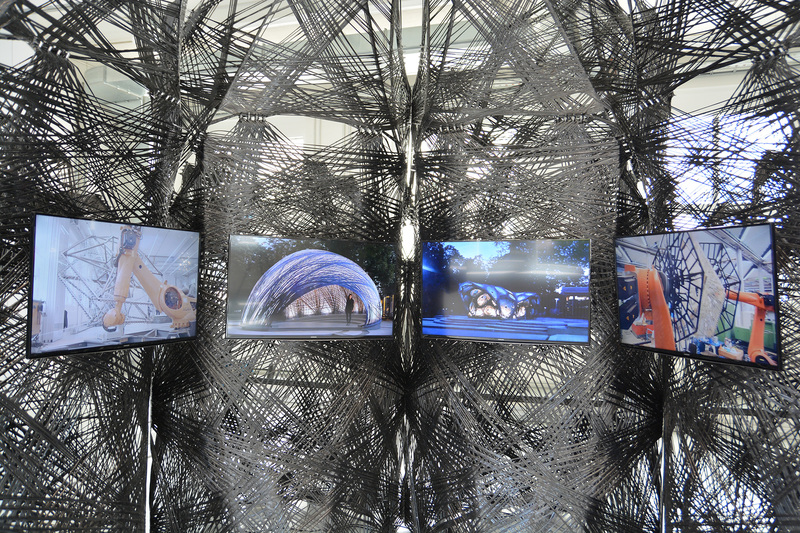 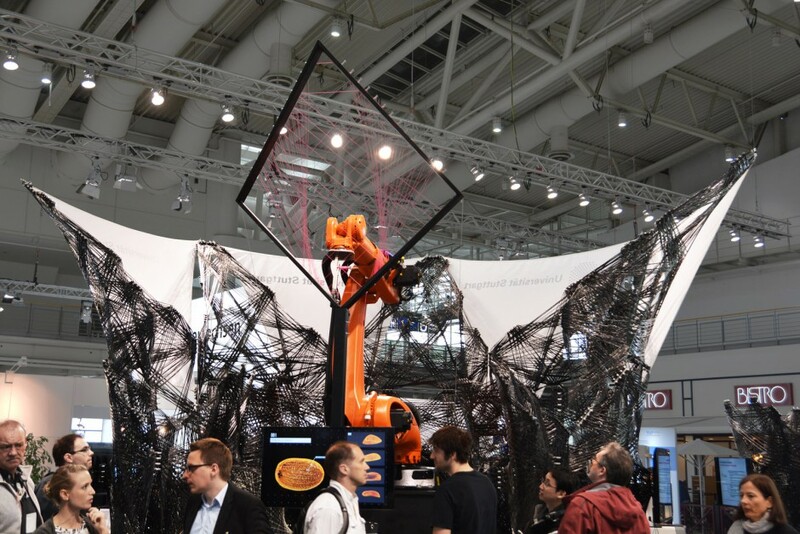 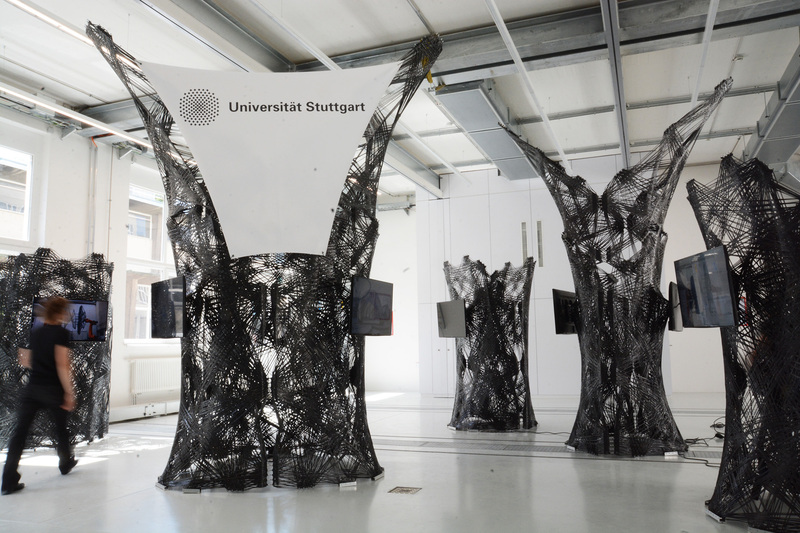 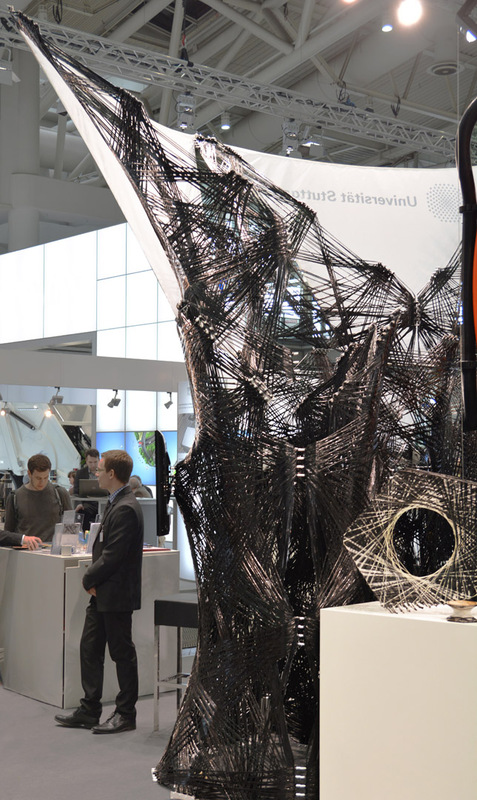 The fair stand demonstrates how novel design and fabrication strategies for fiber composites allow to explore very material efficient constructions and unique design opportunities.